Balance Point acknowledges the differences between therapeutic massage and relaxing massage. Depending on your goals, both types of massage are very beneficial. 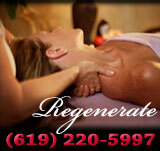 Our philosophy is to integrate the two types of massage therapy to optimize the overall effects of the massage. It is this philosophy of blending the two elements of therapy and relaxation that enables us to connect body, mind and spirit. All of our nationally certified massage therapists are able to offer you the best of both worlds to give you a therapeutic, relaxing massage. During your massage, as you allow yourself to relax, the massage therapist will be able to access the deeper areas of your body that need attention and provide you with a truly therapeutic massage. Relaxation is good therapy and good therapy enables us to relax. More importantly, the philosophy and understanding behind our work is through the therapists intention. An intention of healing and mindfulness with your well-being at the forefront of our thoughts. A sense of being present with you during your session and working with you rather than on you. We take great pride in our work and the ability to help others. It is through this recognition that we take our work seriously and with focused intention we wish to give you one of the best massages you've ever experienced. We hope that you enjoy the personal touch and attention you will receive during your sessions. We look forward to sharing the many benefits of massage and hope that you continue to stay connected with us as we work together bringing balance and peace of mind to one another.